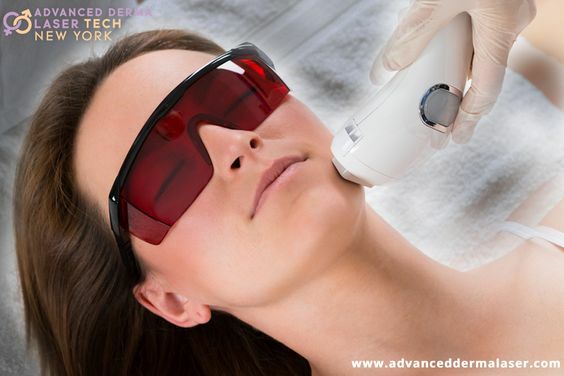 ﻿ Laser Hair Removal Treatment: One Of The Effective Methods To Remove Unwanted Body Hair | | Advanced Derma Laser Tech. Are you seeking a permanent and effective method of removing unwanted hair from the body parts? Do you often get embarrassed wearing short dresses and fed up of trying traditional methods of removing prickly hair? If your answer is yes, then you should try something that gives lasting results. The laser is one of such techniques that can give you clear and smooth skin than waxing and tweeze. Although shaving is a painless procedure, it brings about irritating ingrown hair and this method does not last for more than 2 days. Since the ancient times, women have been using the method of waxing and tweezing for removing here. But with the era of technology, one need not spend hours in removing unwanted hair from body parts. Laser hair removal treatment in Manhattan gives you a quick and lasting solution for these irksome body hairs. It is now considered as one of the most effective and permanent solutions. Laser technique uses a high-intensity laser beam to damage the hair follicles permanently. Laser not only targets the dark hair but also pigments leaving the surrounding skin unharmed. It has been observed that laser technique safely removes hair from any part of the body, from face to chest and back, to abdomen, arms, legs, underarms and the bikini area. People are curious to know about the technique used and how much does laser hair removal cost for the back. This popular procedure is used by people across the globe and offer best results and virtually zero downtime. In addition, laser hair removal treatment has become very popular among both men and women across the globe. However, this is considered as one of the most beneficial methods to take away the body hair.